news Mitch Fifield, Federal Minister for Communications, has hit out at the Labor Opposition following comments made by Senator Stephen Conroy following an Australian Federal Police (AFP) search at Parliament House on 23 August. 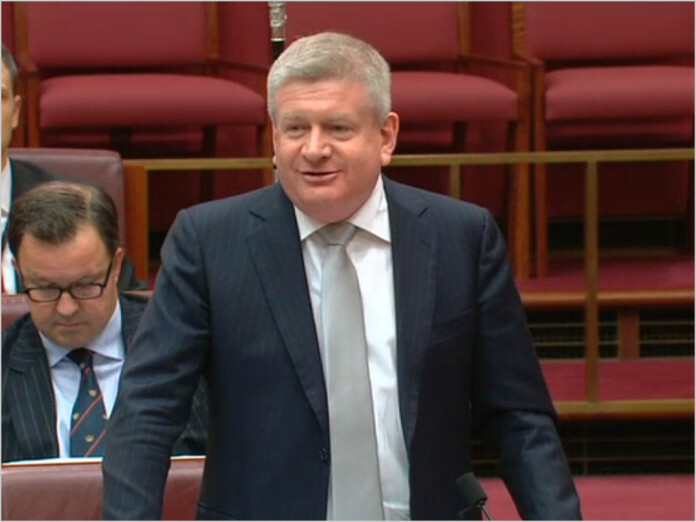 “All of the claims made today by Stephen Conroy regarding the NBN are wrong,” Fifield said, adding that Labor leader Bill Shorten “needs to pull Stephen Conroy into line” over the comments. Following the raid, Conroy, who is Deputy Leader of the Opposition, said the action had been an “shameful attempt” by Prime Minister Malcolm Turnbull to “hide his incompetent administration of the NBN”. Further it was an “extraordinary attack on the Parliament and its constitutional duty to hold the government of the day to account”. Conroy claimed that NBN Co had “initiated” the investigation based on a claim that it is entitled to special protections from disclosure of information about its operations because it is part of the Commonwealth. Those claims are incorrect, he suggested, hinting the Parliament House raid may not have been lawful. “The facts are that NBN believed that commercially sensitive material was being stolen from the organisation and they referred the matter to the AFP in December last year. What the AFP investigates is a matter for the AFP,” Fifield continued. The AFP has said that the search was in relation to its investigation into the “alleged unauthorised disclosure of Commonwealth information relating to the NBN Co”. The Minister went on to say the NBN has met “every rollout and financial target” for nine consecutive quarters, and is now available to three million premises with more than 1.2 million customers now connected. Further he said NBN is now available to a quarter of the nation – a figure that will rise to 50% by the middle of 2017. The project is expected to be complete by 2020 – “at least two years earlier than the plan Labor took to this year’s election”, he said. So when it’s a leak that’s embarrassing for Coalition it’s “stealing commercially sensitive information”. When it was leaks embarrassing for Labor “nothing can be done about it”? It doesn’t matter. Notice that Fifield didn’t comment on whether it was legal, he said that it’s the AFPs problem. Just let the AFP do there job Conroy, after all there is nothing to hide, is there ? What job, on what legal basis that will stand up in court? Of course the NBN keeps meeting it’s goals – it keeps moving the frigging goal posts. A year ago they went from loop to star design in the fibre network – oops, there goes the fault tolerance. Then they went from NBN providing and installing NTD to customers & RSP’s providing and installing them. This year they drop 1.5M homes from HFC and a pile of homes from FTTP to the existing copper phone lines. What will be next year’s trick. Declare existing DSL is good enough for everyone? Job done?! Pretty much, they are cutting corners and rushing completion of the project. If LNP was a mechanic or construction company, they can stay away from my car/house. I would rather pay a bit more or wait longer for a properly completed job. Exactly. They were given the chance to do something great but they pissed the money up against a wall and lost the opportunity. The balance between Cheap / Fast / Correct ALWAYS applies. The problem is they listened to the politicians who said go build this thing for everyone by a particular date, rather than approaching it like a business. It’s no secret. They have blown the entire original fibre budget on faulty DSL copper and trash junk. That has to be replaced. Great investors in deprecated junk. Now they are even over building the faulty DSL in replace of HFC. So the HFC buyback was for nothing. A massive mismanagement of public money and a crime. Fifield also has an obligation to defend decisions made in the rollout according to the major concerns raised. How can they claim that they have meet their targets when Turnbull said everyone would have 25/5 by 2016 and the MTM is only half of the full FTTH rollout that Labor were doing.